Troopers pulled Rodriguez out of the vehicle and restrained her. She is seen running through traffic before troopers say she tried to carjack a woman who also had a child in the auto. 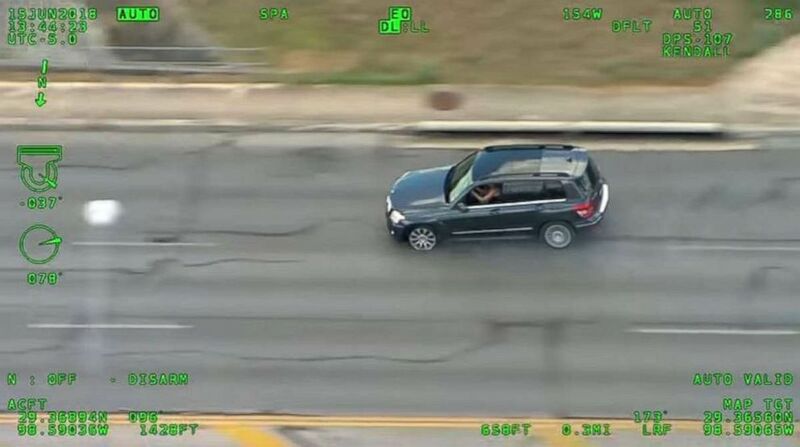 The footage released by the Texas Department of Safety shows the chase in Bexar County in June, after the female driver, who had outstanding warrants, fled at a high rate of speed and approached 100 miles per hour at times. The SUV then attempts to avoid a police spike strip draped across the road, but it catches and pops the vehicle's front left tyre. She then is seen running from the auto, carrying a baby in a travel seat. Rodriguez could then be seen running around to the passenger's side of the auto, where she grabbed the infant's vehicle seat and took off running across a busy street. Another officer removes the uninjured baby and places the auto seat on the pavement. But the carjacking bid comes to a swift end as police surround the vehicle at gunpoint.